Is this known & being worked on? Or considered an ISP/routing issue? I’ve not been able to do anything more than log on and jump around lagging for about a week now. Unplayable lag, rubber banding, world unavailable, portal timeouts, etc. Is there a thread or dev response anywhere that they are aware & looking into it? Or is it considered a player problem? Am logging in from UK. All planets seem affected, no particular region. Occasionally ping counter reports good connection but it’s still unplayable when you actually try to move. Do you have access to your modem/router interface page? I’d be interested to see your connection stats, with a particular emphasis on errored packets, retransmissions, near end and far end crc, etc. 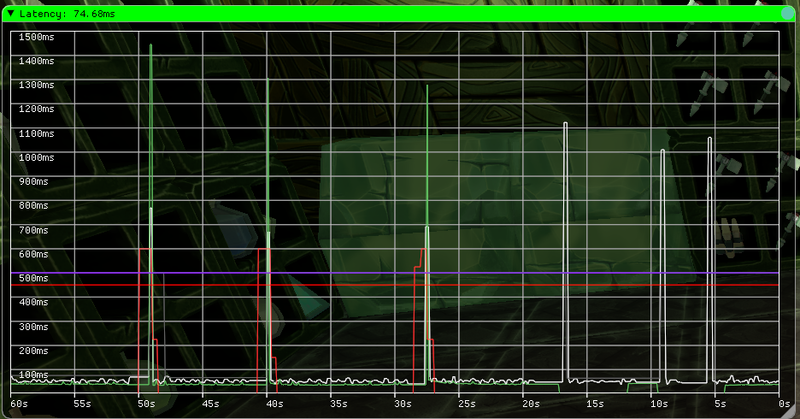 No, but you’ve reminded me there’s a latency thing in game I’ll try and get a shot of. 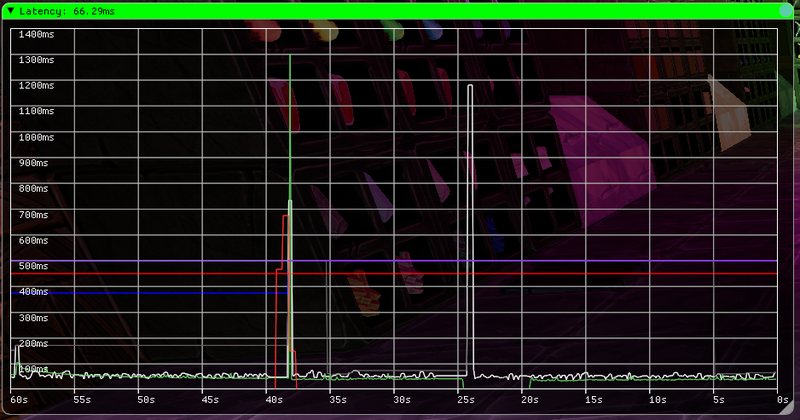 The router is an ISP mandated piece of poo that doesn’t let me see anything particularly useful or complex. It’ll log stuff I’m not interested in but not any of that, that I’ve seen, though I’ll double check. Though for the past 7 days or so those peaks would be longer and more frequent over the same time frame. Also would report as e.g. 60-70ms to which I’m accustomed but on any movement instantly report Unplayable Connection. Then there’d be a period of long latency when returned to world, as it were. Ah, as I was writing this some more happened in the background. Still not as bad but more like the past week than the earlier shot. Gotcha. Ping is kinda bad for measuring what your network connection is showing as icmp packets are extremely low order so they be the first thing dropped if higher priority packets are being handled. I routinely check my connection stats as my dsl connection is ■■■■ but the isp won’t do anything to fix it (average 6% packet loss on a good day). Best I can find is “Pre RS Errors	Post RS Errors” on the Network Status page but no timeframe reference or details, no way to log anything like you mentioned or see it that I can find. Thanks for the pointers though.